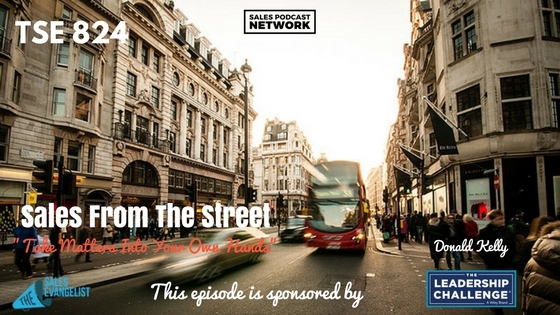 TSE 824: Sales From The Street: "Take Matters Into Your Own Hands"
The very best thing you can do for your sales pipeline is to get your content in front of your prospect even before they need it. The most effective way to do that is to take matters into your own hands and utilize social selling to reach your prospects. On today’s episode of The Sales Evangelist, we’re sharing our own story of social selling and why we fought so hard to employ it. 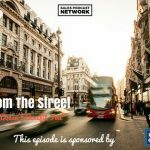 Like every episode of Sales From the Street, you’ll hear about the struggle, how we overcame it, and what the results were. At one of my previous companies, a coworker and I recognized the power of social media for sales professionals who were trying to reach prospects. What we noticed, though, was that our leaders weren’t on board with the idea. In the early days of LinkedIn, management assumed that if you were on LinkedIn, you were looking for other jobs. Since then, the platform has transformed into a place where sellers can build relationships and find opportunities. The truth is that very often your prospects don’t know who you are; and being the best-kept secret should never be your goal. Your ideal customers need to know who you are, because they know who your competitors are. The marketing department didn’t like the idea. They said any social selling would have to be consistent and uniform. (Translation: they didn’t like the lack of control.) They recognized that we should be doing something, but no one wanted to implement change. Our markets were shrinking and our opportunities were dying. My coworker and I offered to help write content so it didn’t all fall to marketing. Although everyone acknowledged the need for social selling, no one wanted to let us have a piece of the pie. So my coworker and I created our own pie. We created a blog and started generating content about our product. We shared the content with our prospects in the form of blog posts. The important thing is that we took control of the problem and addressed it ourselves. We never did close lots of deals as a result of it, and we didn’t make millions, it helped us realize the need to embrace social selling. 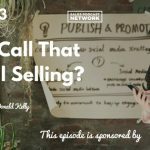 I’ve done the same thing with The Sales Evangelist, using my podcast as a means to connect with people. Early on, I noticed that one of my prospects had been interviewed for a pretty popular magazine. I asked him to appear on the podcast, and he eventually introduced me to other people. Every seller must have his own brand online, even if it’s only your LinkedIn or Twitter pages. If you’re in the healthcare space, tailor your accounts to that industry. Create content that helps you connect with your prospects, whether it’s a blog or a podcast or something different. Just like there are many possible routes that will get you from New York to Los Angeles, there are many ways to utilize social selling to reach your audience. Don’t be a one-trick pony, and don’t abandon the things you’re already doing. Simply add social selling to your process to help you reach your audience more quickly and efficiently. If you haven’t already established your own brand, personal brand strategist Stephen Hart specializes in helping service-based professionals and entrepreneurs build their own personal brand. Successful sellers find ways to think outside the box, because prospects want you to lead them rather than sell to them. This is why I’ve recommended Stop Selling & Start Leading: How to Make Extraordinary Sales Happen, brought to you by our sponsors at Wiley. It’s a blueprint for sellers, giving you a first-hand look at what buyers want and the things they hate. Click here for an excerpt of the book. Check out the Video Jungle Podcast to hear best practices for video and film production and to learn the art of selling your product with video. The podcast is part of our newly-launched Sales Podcast Network, designed to provide specialized sales content for sellers of all levels and all industries.